Our Tamariki deserve the best! Here at Welc, we aim to provide a range of programs to cater to the various interests and to increase our awareness of ourselves and of our community. One of those activities include a regular visit from our local librarian (seen in the image) who comes to read to us. 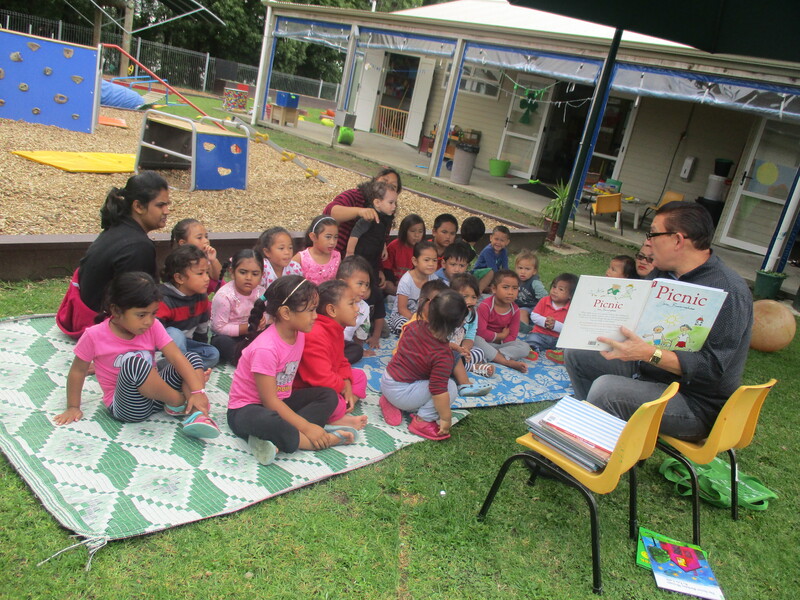 Because we recognize that children’s development varies at different ages and stages, Welc has a program for the Under Two’s (Pukeko’s) and the Over Two’s (Tui’s). Please visit the two rooms to see what we can offer you. Haere mai – Come and see us!